Blue Hill, Maine is quite large and full of classic boats and because the harbor is safe, water recreation is one of the most enjoyable pastimes. 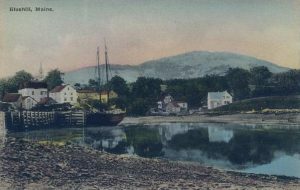 The ocean is relatively flat in Blue Hill, due to its distance from the open Atlantic Ocean. 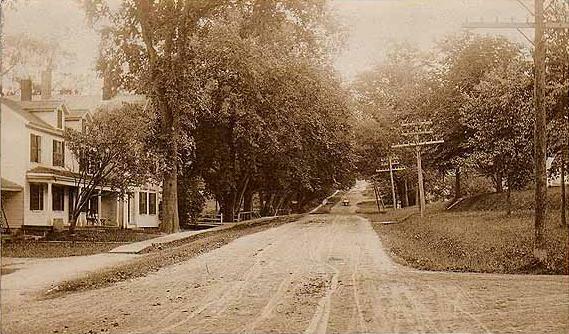 The Blue Hill Inn is an intimate and historic B&B in the heart of village. Blue Hill is home of the annual Blue Hill Fair. Blue Hill Fair is a “Down To Earth” country fair that is held every year around Labor Day. The fair attracts thousands of visitors to experience Blue Hill. The name, Blue Hill, came from Parson Jonathan Fisher after seeing the beautiful firs, pines and spruce that give the surrounding hills a dark blue color. The town has a long, rich history of the shipbuilding craft. 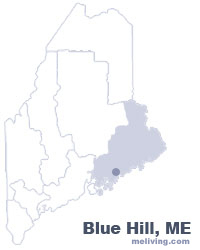 East Blue Hill and Blue Hill Falls are villages located within the greater Blue Hill area. Notable residents include Paul Stokey of Peter, Paul and Mary. The trio recorded several hit records and released dozens of albums. Actress June Harding who played in the hit movie “The Trouble With Angels” is a resident. June is an accomplished painter that creates original artwork often featuring cats. Bill McHenry, an American Jazz saxophonist, is also from Blue Hill. 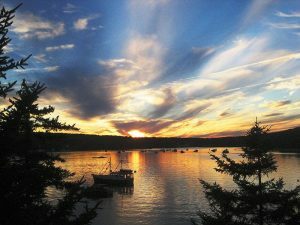 To share any Blue Hill, Maine information with us, please contact us. Learn more about advertising in MELiving.